Just completed your Open Water Class? Now it’s time to move on to Advanced Open Water diving.The Advanced Open Water Diver course helps you increase your confidence and build your scuba skills so you can become more comfortable in the water. 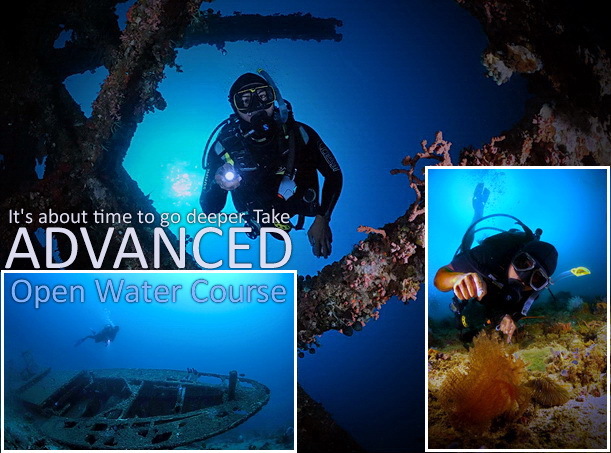 You’ll hone your skills by completing five adventure dives that introduce you to a variety of specialties.